Copies of ‘East Indies’ have arrived and there is nothing more exciting than holding the final result of five years work in your hands. The books should be going out to the bookshops in the next few weeks and there are number of events lined up from mid-September for those who are in Sydney. Ian Burnet reveals the 200 year struggle between the Portuguese Crown, the Dutch East India Company and the English East India Company for supremacy in the Eastern Seas. In 1497 Vasco da Gama’s fleet rounded the Cape of Good Hope, and became the first Europeans to sail the Eastern Seas. Over the next 100 years the Portuguese spread their trading network in search of spices, sandalwood, silks, gold, silver, porcelains and other oriental goods from Goa in India as far east as the Moluccas and Timor in Indonesia, and as far north as China and Japan. In 1595 and 1601 respectively, the first Dutch and English trading expeditions rounded the Cape of Good Hope and challenging the Portuguese the trading monopoly. The stakes were high. For the winners, the pay off was huge. By the end of the 19th century the Portuguese had almost vanished from the Eastern Seas, and the Dutch and the English East Indies Companies had been transformed from trading companies into colonial powers, ruling vast territories in Indonesia, India and Malaya. Author Ian Burnet talks about his latest book, East Indies. 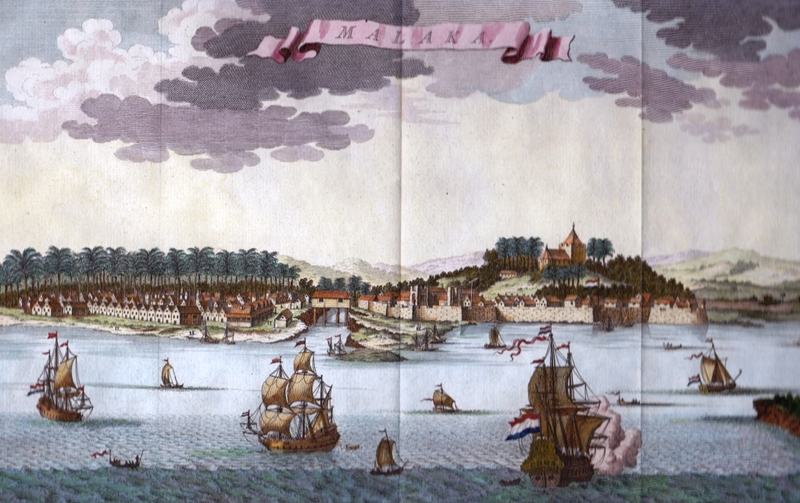 This book follows the trade winds and begins in the port city of Malacca, telling the story of the 200-year struggle between the Portuguese Crown, the Dutch East India Company and the English East India Company for trade supremacy in the Eastern Seas. It follows the rise of the world’s first joint stock and multinational trading companies and their conversion to huge colonial states ruling over millions of people in Indonesia, India and Malaya. A fascinating talk about the spice trade and its little known associated collateral. It documents the 200 year struggle between the Portuguese Crown, the Dutch East India Company and the English East India Company for trade supremacy in the Eastern Seas. It documents the rise of the world’s first joint stock and multinational trading companies and their conversion to huge colonial states ruling over millions of people in Indonesia, India and Malaya. Cost: Members $20 Guests $25. A light sandwich lunch and wine will be served after. More details and a review of the book are available on the author website listed below. This entry was posted in Uncategorized and tagged ambon, banda, batavia, calcutta, cloves, dutch east india company, dutch east indies, english east india company, ian burnet, malacca, maluku, moluccas, nutmeg, robert clive, singapore, spice islands, spices, ternate, tidore, VOC. Bookmark the permalink.